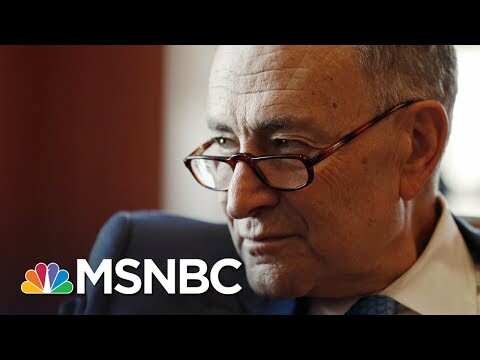 Senate Judiciary Committee Chairman Chuck Grassley went to town on the Democrats on Thursday… especially Chuck-you Schumer. He nailed them for lying about President Trump being under investigation for collusion with Russia and creating hysteria in the media. President Trump is not under investigation and they damn well know it. Schumer and others just keep repeating the lie hoping it will be believed and will eventually become fact. It’s a despicable political move and one that I would expect from the likes of Schumer. 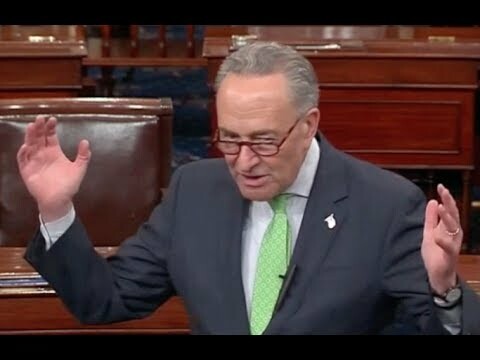 Concerning the Supreme Court, Schumer was extremely dishonest and went so far as to push this monstrous lie on March 21st to sway the appointment of Neil Gorsuch: “There is a cloud now hanging over the head of the president, and while that’s happening, to have a lifetime appointment made by this president seems very unseemly and there ought to be a delay.” The fact that President Trump was not under investigation did not come to light until months later when Comey stated three different times that Trump was not under investigation. Senate Judiciary Committee Chairman Chuck Grassley (R-IA) blasted Democrats on Thursday — particularly Minority Leader Chuck Schumer (D-NY) — for fueling media hysteria, knowing full well President Trump was not under investigation for collusion with Russia. Grassley also stated that he had asked Comey to come forward and divulge to the public that Trump was not under investigation, but he had refused to do so over a hypothetical situation where he might have to correct the record. “That concern was merely hypothetical — pure speculation,” he said. “In the unlikely event it came to pass, the public should know if the FBI is pursuing a criminal investigation against the president.” That is extremely dishonest and one of the reasons I consider Comey a dirt bag. The media has run with this ‘Trump under investigation’ mantra forever now… even though they know it is a lie. They just keep pushing it, writing never ending articles on it and doing whole shows on a falsehood. The media leaks and publishes half-truths and they are not being held to account for smearing the President in an unprecedented manner that can only be described as a coordinated propagandic effort to unseat him as the sitting President of the United States. After almost a year of investigations, no evidence has surfaced indicating any collusion between President Trump and Russia, yet the lies continue. Grassley also urged Comey to clarify that Jeff Sessions was not under investigation. “Unfortunately, now it looks like Mr. Comey and the media might be doing the same thing to Attorney General Sessions,” he said. “Here we go again. The rumor mill is back in business. It’s insinuating improper ties with Russians and undermining people’s faith in another senior government official.” Comey deliberately didn’t tell the truth on Sessions either and led people to purposely believe that Sessions was involved with the Russians, which is simply not true. All of this must stop as it only encourages Russia in attacking us, obstructs the President’s plans to help America and makes America look foolish on the world stage. Shame on all of these asshats.